Almost a year ago we held one of our 8 Limbs Teacher Meetings. I asked our teachers “what makes 8 Limbs special? 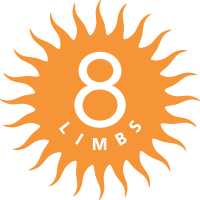 Why do people choose 8 Limbs?” In a city FULL of terrific yoga, it’s important for us to know what makes 8 Limbs stand out, what makes us worth the walk/drive/bike/bus, and why people would choose to practice with us. The power of that meeting lingered. This fall we decided this fall to take all of the teacher’s comments and choose 8 (for obvious reasons) to shout out to the world. We have a great thing going on in our neighborhood studios, and we want to make sure everyone knows it! Every month I’ll blog about one of the 8 Reasons, to tell you more about why we chose it and the story behind the reason. Read about Reason 1. Read about Reason 2. 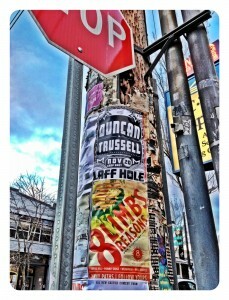 In 1996 8 Limbs opened with less than 20 classes a week at our first location, Capitol Hill. We held classes at most of the same times that we do now, just not every day! With demand, the number of classes grew, and grew, and now we have a plethora of daily drop-in classes to choose from, plus special series and workshops to supplement and for those looking for more of a committed series experience. To see what is happening any particular day, use our Master Calendar and use the categories to view the types of classes you are interested in. This option is found at the bottom frame of our website. Or just view drop-in classes from the Class Schedules option. Try a different class every week to stay on your toes and experience the awesome variety in that 135+. Let us know how it goes on our Facebook page. Next month I’ll write about #4!